When Anthony Avalos died, the 10-year-old boy had endured years of physical abuse and had come out as gay just before he was killed. He had severe head injuries and cigarette burns on his body, and his mother and her boyfriend, Kareem Leiva, had been reported numerous times for child abuse. The boy was unresponsive and taken to the hospital, where he died a day later. 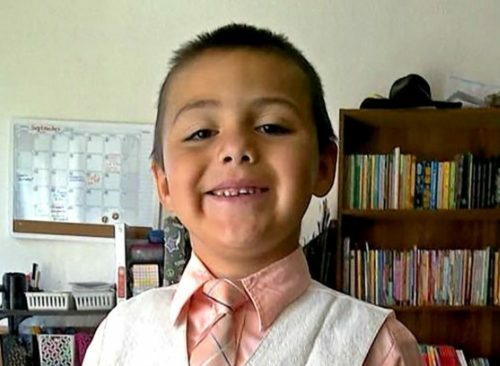 While social workers and law enforcement failed Avalos repeatedly and the boy died alone defending himself from his parents, hundred of mourners attended the child’s funeral to show respect and frustration. Mourners wore Superman capes and Batman t-shirts to honor the fallen superhero. The L.A. County Department of Children and Family Services investigated 88 claims of abuse at Avalos’ home. At least 13 calls, according to an anonymous source who spoke with the Times, were about the boy specifically, not one of his six siblings. A 2013 investigation also concluded that he was sexually abused by a grandparent. DCFS Director Bobby Cagle said that the reports included accusations that the child and his siblings were denied food and water, sexually abused, beaten, dangled upside-down from a staircase, forced to crouch for hours, locked in a small room without a bathroom, forced to fight, and told to eat from the trash. A makeshift memorial of stuffed animals, candles, and notes still stands outside the apartment complex where Avalos died. “A hurt child is everyone’s business! Do your job!” a poster highlighted by the Times reads. His mother, Heather Barron, has been arrested and charged with murder, torture, and child abuse resulting in death. Her boyfriend, Kareem Leiva, was arrested separately and is being held on $2 million bond.